BULAWAYO – ZIMBABWE’S state security agency has reportedly foiled an attempt of a coup in neighbouring Botswana as the factionalism within the ruling party gets nastier. The coup attempt allegedly involved some South African politicians and comes weeks after the South African National Defence Force (SANDF) was accused of involvement in the plan to topple the government of President Mokgweetsi Masisi. Media in Botswana and Zimbabwe mentioned South African businesswoman, Bridgette Motsepe Radebe, and American diplomat, Andrew Young, as part of the alleged plot that also involved former Botswana president, Ian Khama, and sacked foreign affairs minister Pelonomi Venson-Moitoi. Venson-Moitoi was challenging Masisi for the presidency of the Botswana Democratic Party (BDP) but pulled out of the contest at the last minute. Botswana’s Sunday Standard claimed it had evidence implicating South Africans in the plot. There are claims Motsepe Radebe, who is sister to Energy Minister, Jeff Radebe, provided US$5,5 million (R77,34 million) in cash to prop up Venson-Moitoi’s bid through vote buying. It is alleged the money was laundered via Zimbabwe, where Venson-Moitoi and her delegation were reportedly detained and quizzed by the Central Intelligence Organisation (CIO). This reportedly happened at the resort town of Victoria Falls, north West Zimbabwe. Botswana law enforcement agencies are reportedly investigating African National Congress (ANC) struggle veteran and funding mule Paul Langa’s possible link to the movement of funds between Bridgette Motsepe Radebe and the Venson-Moitoi campaign team. It emerged the Botswana Financial Intelligence Agency (FIA) had frozen Avante Security Services bank accounts in Gaborone on suspicions that the company was used to launder the money. There were no immediate comments from the accused. Efforts to obtain comment from ANC acting spokesperson, Dakota Legoete, were fruitless as his cellphone was going on voicemail at the time of going to press. In a recent tweet, Venson-Moitoi hinted at the accusations but appeared to deny them and threatened legal action. SANDF recently rejected claims of involvement in a planned coup in Botswana after media implicated it. Brigadier General Mafi Mgobozi, SANDF Director: Corporate Communications, slammed the reports. 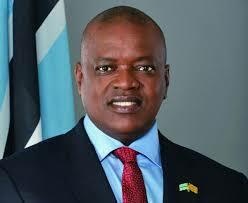 Botswana has over the years been hailed as a model for democracy in Africa and a beacon of stability. In 2004, Zimbabwe’s CIO also foiled another Equatorial Guinea coup attempt against incumbent Teodoro Obiang Nguema Mbasogo by former British soldier, Simon Mann, to replace him with exiled opposition politician, Severo Moto.